Remember Rent the Runway and that fabulous dress I snatched up (just for one night!) for my birthday bash two years ago? I am a lover of RTR -- they provide great customer service, and, when you do your homework on the dresses (tip: read the reviews, they provide HUGE insight into the fit of the dress on different body types! ), you are bound to get a winner. You might think about RTR when you are planning a big event like a birthday or a cocktail party, but did you know they also have a ton of options specially selected especially for wedding events like bridal showers, formal and semi-formal weddings, bachelorette weekends ... and even white dresses for the bride herself? It's pretty awesome! Instead of feeling pressured to buy that $400 designer label dress, why not just rent it for the weekend instead for only $100? That is a Buckhead Betty on a Budget MUST. Check out, for example, this swank short number. This would be perfect as a date to a wedding, especially one where your S.O. is in the bridal party and might be wearing a tux! Dress to the occasion! Or how about this long number for an elegant black-tie affair? Yowza for only $125, compared to $500 retail! I love love LOVE this short party dress for a dressy bridal shower or a day-to-night wedding. 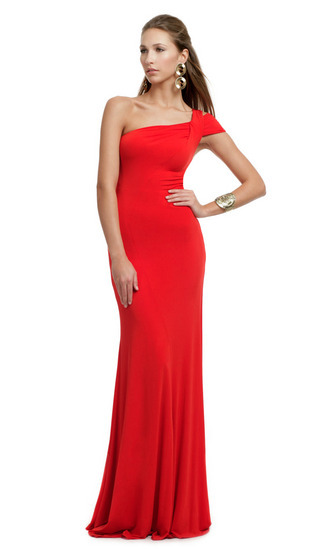 Of course, you know me, I love a good party dress, especially ones that rent for $75 instead of $440 retail, geez! 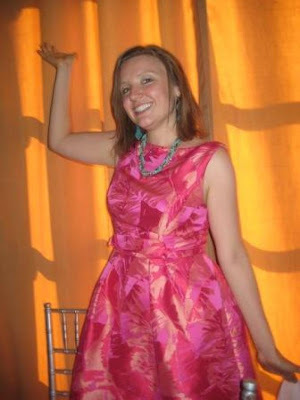 Um, as proof that this dress rocks, guess who I actually randomly recognized wearing it in the RTR reviews section? My gal pal Lowrie from college! Girl's got great taste :) Hi, Lowrie!! With all of the busy wedding season still under way (and my own right around the corner), I love that you can add a second dress to your order for only $25. That makes attending all of those showers and events a breeze! This cut-out LBD would be a great dress to wear to a bachelorette party, where often the gals are asked to wear black while the bride-to-be wears white. Plus, it's only $60 to rent, $325 retail. Lastly, say it's your own big day. Why not grab a white frock to help celebrate, either as a rehearsal dress or an exit dress? RTR is so cute - "let us be your something borrowed," aww! 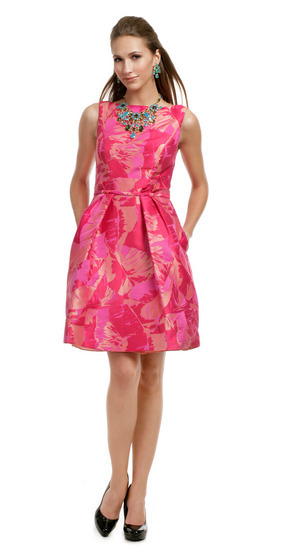 This Christian Siriano find is $200 to rent ... compare that to the $1,750 retail, wow! Have you been renting from RTR? What have been your experiences? I know I have blogged about them before, so who knows what else has been upgraded since then! I'd love to hear your feedback.